The Best Sushi on the Planet? At Sushi Nozawa Group (SUGARFISH, KazuNori, Nozawa Bar) we would never say that. What we can say is: We are fanatical in delivering the highest quality sushi experience, consistently, for people who really love sushi. To accomplish that takes an insane commitment to perfection, whether it is being first in line when the fish market opens at 6 a.m., or spending more than $50,000 in pursuit of a $250 rice cooker. But more about that later. First, let us introduce ourselves. 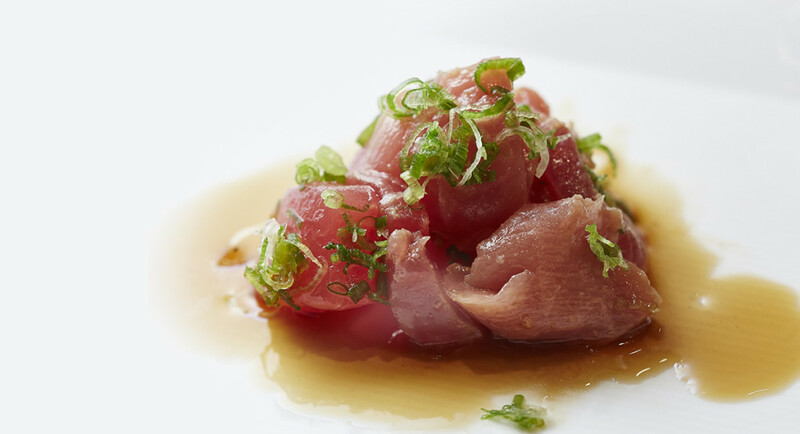 The original idea for SUGARFISH was a conversation over dinner between famed Sushi chef Kazunori Nozawa, who opened Sushi Nozawa in Los Angeles in 1978, and Jerry Greenberg, a long time fan and friend of Nozawa. Nozawa’s mission for 40 years remained simple: bring traditional Japanese sushi to America. Sounds easy, but when your product is the result of thousands of years of Japanese culture that has raised the art of simplicity to the pinnacle of creative expression, you learn that mastering the art of simple sushi demands a lifetime of commitment. Four decades after opening Sushi Nozawa in Studio City, it was time to expand the mission — to create SUGARFISH. Nozawa passed his learning, his demand for perfection, and his commitment to sushi prepared in the traditional Japanese style onto his son, Tom Nozawa. In the summer of 2007 Nozawa and Jerry brought together the rest of the founding partners (Tom Nozawa, Lele Massimini, Cameron Broumand, and Clement Mok) to form the Sushi Nozawa Group which opened SUGARFISH in 2008. 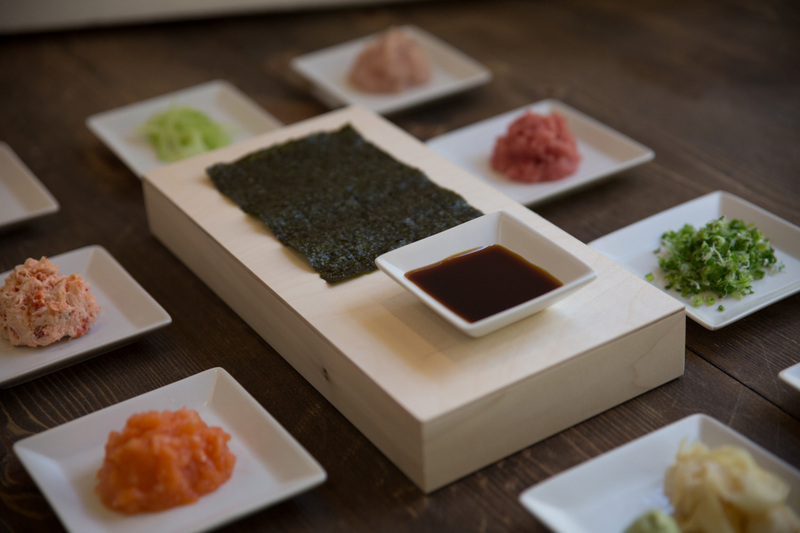 Our goal is to make the highest quality sushi dining experience accessible to more Americans. Together we combine Nozawa’s passion for hand-selected fish, quality ingredients, and attention to detail with a western eye for process, efficiency, and sustainably sourced ingredients. The result is SUGARFISH, a name that suggests the “Wow!” we want our guests to experience with each and every bite of our sushi. The art of sushi starts with selection. It takes months to learn the knife skills required to slice sushi behind a countertop. At least a year to learn how to break down and butcher a fish. Years and years to decipher the secrets of aging fish. And a lifetime to master the art of selecting the perfect fish for sushi. It’s a skill that Nozawa has taught his son Tom, and key members of the team, who now work everyday with Nozawa and Tom to select our fish. One of the first lessons Kazunori taught Tom was that a good night at the restaurant begins at dawn. 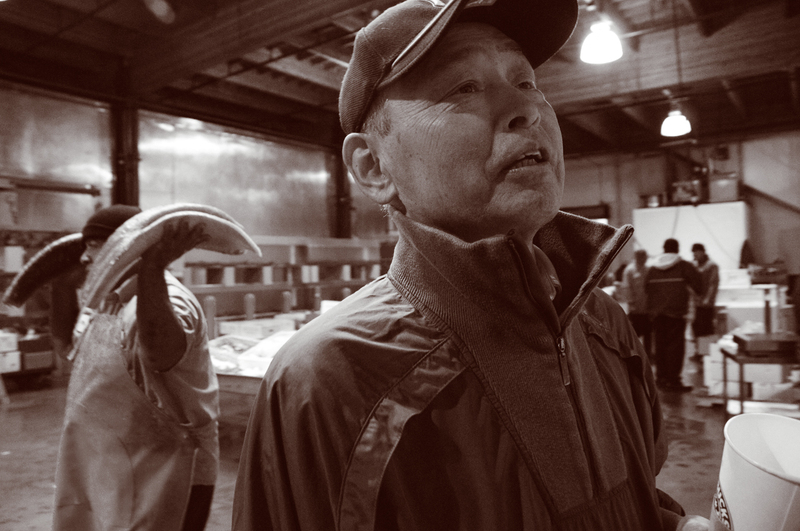 For four decades Kazunori has risen at 4 a.m. to be first in line at the fish market in downtown LA. His dedication is such that, in a mark of respect and admiration, the market opens 15 minutes early to let him, and only him, in. Instead of jealousy, other sushi chefs in LA respect that Nozawa picks first, as often his decision affects the choices they make. That kind of respect doesn’t happen overnight. At Sushi Nozawa Group the relationships we built with our fish suppliers stretch back to the 70s. As a result, we get the best they have to offer. Yes, they may roll their eyes when they see us take out our monitoring equipment, our temperature gauges, and probes. But that’s what it takes to maintain consistency and perfection. Every piece of sushi we serve— whether it comes from a 150-pound big eye tuna or a two-pound snapper—is selected for us, by us. Each fish is different, but we are always looking for the highest quality, whether it is color, fat content, size, freshness and how the fish was handled after it was caught. 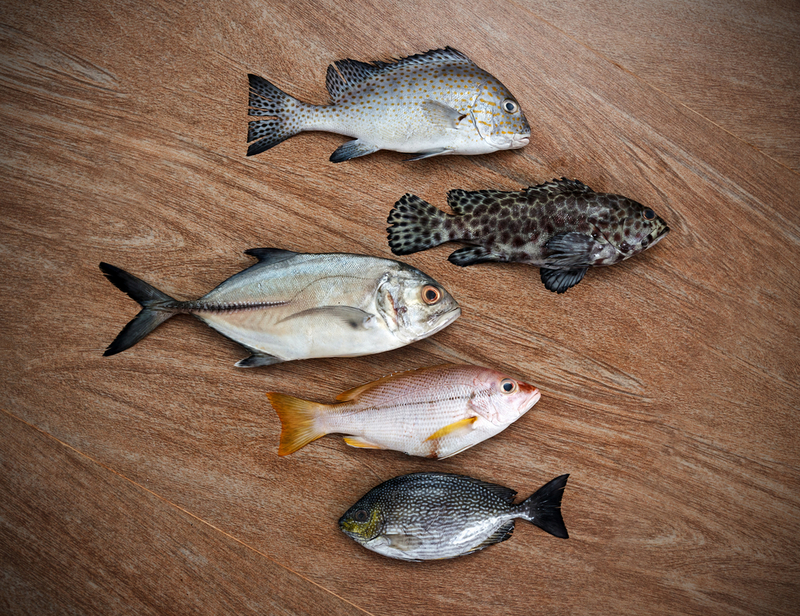 When it comes to quality fish, there is no compromise. First we gauge the relative humidity in our locations, then we fine tune the cooking water for our rice down to the milliliter. When you are concerned about the difference in humidity between Santa Monica versus Pasadena, the rice better be right. We source our rice from a Japanese company that grows their rice in the Sacramento Delta, and we’ve been doing it long enough to know that even slight changes in the weather, the rainfall, or the water table will make a difference in each year’s crop of rice. When that happens it triggers a conversation with our suppliers, and sometimes a visit to Sacramento. We find that when we go straight to the source nothing stands between our suppliers and the best products we can get our hands on. The rice we serve with our sushi is noted for its warm, loosely-packed consistency, so we work hard to find just the right kind. We examine each and every batch of rice we order. We look for moisture, and the right amount of “chalk” content, which can mean the difference between a heavy, starchy rice or rice that turns out fluffy, flavorful, and with good separation of fully bloomed grains. When we see that, we know the rice is right. Obsessive, yes. But it’s an obsession with quality that connects the farms where we source ingredients to our restaurant kitchens and extends straight to the food that we serve guests. The problem with rice cookers is that commercial, restaurant grade rice cookers, certified for use by regulatory food-safety agencies produce average rice. We are not interested in average rice. Or above-average rice. We want our rice to meet Nozawa’s standards. Loosely packed, warm and almost falling apart for a melt-in-the-mouth sensation. In other words: perfect. The rice cookers that produce perfectly steamed rice are the same ones you can find in every Chinatown or big box store. The problem with that is they aren’t certified for use in restaurants. Which makes producing batches of rice in a large capacity kitchen either illegal, or impossible. Until now. In a process that took over 18 months and a cost of more than $50,000, we worked with a certification agency to make modifications so these rice cookers could achieve a restaurant grade certification. Whenever we need a new rice cooker in any of our locations maintaining our certification requires us to spend an additional $2,500. But in our obsession with perfection, we find it’s more than worth it. Today, Sushi Nozawa and its restaurants are the only sushi restaurants in the United States with a small capacity rice cooker certified for restaurant use. When it comes to sushi there’s more to it than rice. There is rice vinegar, a precise mixture that when combined with rice makes sushi rice. That vinegar recipe is the most closely guarded secret of any sushi master. We get our base vinegar from Japan, then brew our own rice vinegar using heat, salt, and sugar to achieve just the right potency. Mixing the vinegar into the rice is no simple task. We worked with a robotics company to specially program one of their devices to mix the rice and vinegar modeled exactly on Nozawa’s process. That required trips to Japan to meet with the makers of this technology. Their engineers flew to America six times as we worked out the procedures, the correct proportions, the exact settings, and the precise run times to get the combined mixture of rice and rice vinegar just right. Great sushi also needs great seaweed, or “nori.” We make trips to Japan to meet with our nori suppliers. 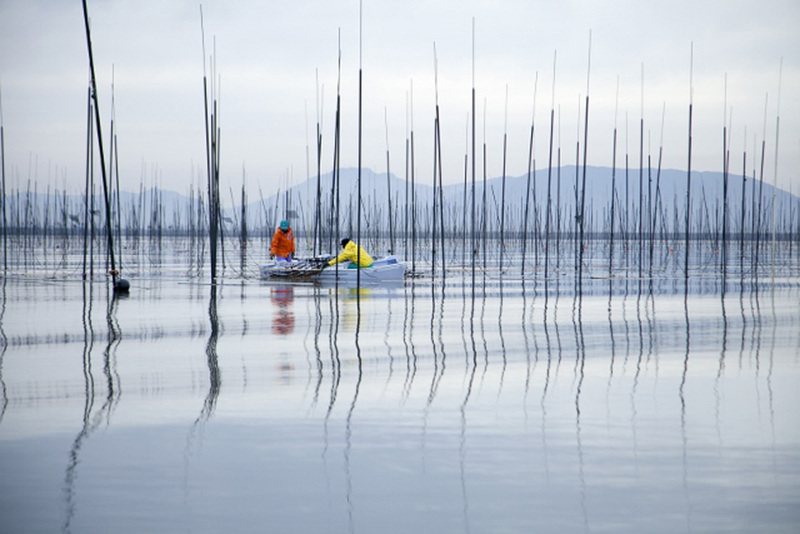 Nori is harvested several times a year, from family plots on the Japanese archipelago on the southern tip of Japan. We buy from a couple of the best nori suppliers in Tokyo. We’ll huddle with the CEOs of each company to taste their product. We know what we want, and we drive our suppliers hard to source the best. Nine times out of ten we’ll turn down their product. If it’s not to our standards, it’s not right. We may be the most demanding customer they ever had. But, if they can deliver a superior product consistently, we also promise to be the best customer they ever had. Our sushi is of course made Nozawa style, which means you won’t find many sauces. What you will find is our own house-prepared soy sauce, with a lighter flavor, only a hint of smokiness, and less salt that won’t overwhelm the delicacy of the sushi we serve. Our Ponzu is memorable and distinct with a couple variants including our standard garlic and ginger style, as well as a Japanese pepper citrus and a Japanese red pepper version. We source our fish from around the world: Hamachi from Japan, salmon from Europe, snapper from New Zealand, tuna from almost every sea, and the most delicate, creamy sea urchin uni from the southern California coast. Working with suppliers with whom we’ve built trusted relationships ensures we get first pick of the best quality fish available. Suppliers from around the world fly fish in for us to sample. If we need to travel to meet the boats at the dock to sample albacore in Vancouver, attend the tuna auction in Hawaii, or check the quality of halibut in Rhode Island, off we go. One of the most surprising things about making great sushi is the art of aging fish. After our fish is selected much of the fish we choose is aged (we age it the same way a steak is aged) to bring out its flavor and achieve the desired tenderness. Each fish is butchered by masters who have spent a year or more learning how to break down fish into fillets that will yield the highest quality dining experience when it is served in our restaurants. The people we employ to slice our fish have mastered the art of using the right knife stroke, at the precise angle to the grain, with the correct amount of blade. Their knife skills are an essential part of delivering Nozawa-style sushi. Many people, even sushi aficionados, assume sushi is fresh fish. That’s not always true, and not always best. While most of the fish we select is fresh, some is frozen – usually blast frozen to temperatures at 20 below zero or colder. 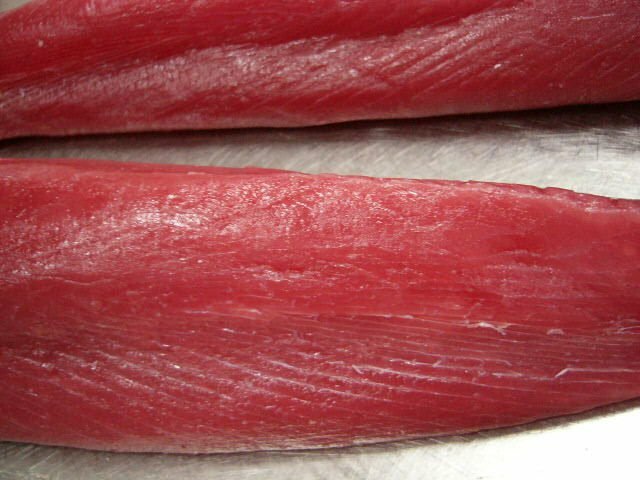 If you think the best fish must be fresh, know that all of the bluefin tuna at the famed Tsukiji market in Japan is blast frozen. What we care about when we select fish is the quality of the fish, nothing else. In New York, where new state regulations require all fish, with the exception of tuna and shellfish be frozen, we are working at the forefront of food science. Currently we are exploring a technology that can freeze a fish in 60 seconds, to replace the conventional method that takes more than an hour. The process produces a fish that is frozen so fast that, once it is thawed and prepared, is indistinguishable from fish that is not frozen. Because the fish freezes so quickly, the water in the cells doesn’t have a chance to expand, much smaller ice crystals are formed, and the fish does not become watery when thawed properly. Done right, the resulting mouth feel is often preferred in blind tastings. How do we take a one-man labor of love located in a small sushi restaurant in Studio City, and extend that level of quality to a wider audience? For us, the answer comes down to an obsession with process, backed by the smart use of technology. Just like our rice vinegar mixing machine, we continuously look at ways technology can improve the sushi experience, whether it is advancements in food science, or innovative ways to prepare our ingredients. We are eager to adopt technology, but only if it results in a better bite of sushi for our guests. Would we use other devices if that would mean better food for our guests? Of course we would, as we have with our vinegar mixer. We know we can’t clone Nozawa, so we look at every aspect of our operations to find what we can replicate. We put everything Nozawa does under a microscope, then we invent processes to reproduce and extend what he does across our operations. Located within five minutes of the Los Angeles fish markets where we source our fish, the Sushi Nozawa Group Quality Center is where we teach, train, test and prepare our staff to meet Chef Nozawa’s exacting standards. The Quality Center is also the central location where we buy, store, butcher, and—depending on the fish—freeze, age or possibly slice it before we send it to our restaurants to be made into that day’s sushi. We operate our kitchens at SUGARFISH and KazuNori western-style, with dedicated teams of people who focus on just one task. Our kitchens are built to run like a Swiss watch. Water for cooking rice is measured to the millimeter. 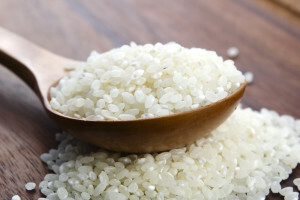 Rice is made continuously and thrown away if it is not used in 30 minutes. Our rice vinegar is mixed with the rice for 200 seconds. No more, no less. Each staff member in our kitchen has just one job: make one item to perfection, each and every time it comes in. That’s why we train our chefs to master a single assignment: preparing only nigiri, or just hand rolls, or just cut rolls. When a “Trust Me” order comes in, we place the order into a digital point of sale system that displays it in the kitchen. The order is prepared one dish at a time at a dedicated station then placed on the “pass” where it is the top priority of our front of house staff to get the food immediately to our guests. At the end of the day, the simplicity, authenticity, and integrity of the Sushi Nozawa experience is hard to master. But it is not impossible. To deliver on the promise of great food every single time you visit, it takes teams of dedicated people, a commitment to quality ingredients. an emphasis on consistent process, and smart use of high tech. It’s a commitment that has paid off. 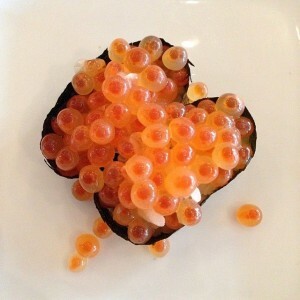 In Los Angeles, a city of some 400 sushi restaurants, our guests return again and again, sometimes several times a week. In the process we are redefining Americans’ expectations of what sushi was meant to be. No fusion, no crunchy stuff, no rolls of cooked fish stuffed with spices. Just the real thing: an experience on the palette that depends on quality ingredients and painstaking preparation, a balance of texture, temperature, and contrast that elevates the flavor of each piece of sushi we serve. Any connoisseur of sushi knows there’s more to extraordinary sushi than a slice of fish on a bed of rice. Call it a dark art, call it privileged information, but—other than what we’ve shared here—we keep the aging, slicing, and preparation of Nozawa-style sushi a closely guarded trade secret. As for the formulas that go into our sauces, our recipes, our soy sauce and Ponzu at Sushi Nozawa Group? Those are as unique to us as our signature, and because they are what make our sushi so special, we’ll have to keep them secret, too. But here’s the good news: the real secrets of our sushi are revealed every day for all to taste, one bite at a time. Our goal is Zen-like in its simplicity. We want to turn people on to real sushi by serving them real sushi. As Nozawa said many years ago, “Stay true to what you believe. The rest will take care of itself.” But pay attention to the rice cooker.